This tour coincides with not only the Transnistrian Victory Day celebrations, but one of the only Soviet-style military parades left in Europe! Officially known the Pridnestrovian Moldavian Republic (PMR), and often referred to as the last of the Soviet Union – Transnistria is one of the four unrecognized countries and frozen conflict zones that litter the regions of the old Soviet Empire. The trip begins in the wonderful city of Bucharest which is serviced by a number of low cost airlines. During the day, we will see Ceausescu’s grave and palace before jumping on the scenic train journey to Chisinau, Moldova: the least visited country in Europe. 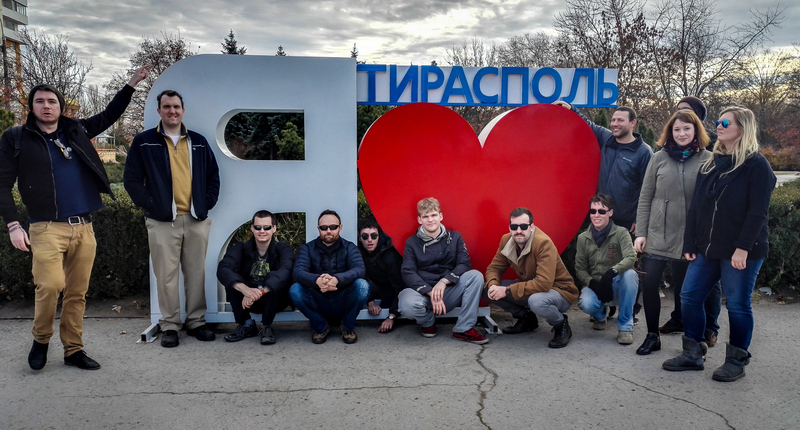 After a one day city tour and a night in a Soviet style hotel, we head for the highlight of the trip, Transnistria, Tiraspol and a big old fashioned military parade! On arrival, we begin our tour to the darkest corners of what has been branded ”Europe’s North Korea”. 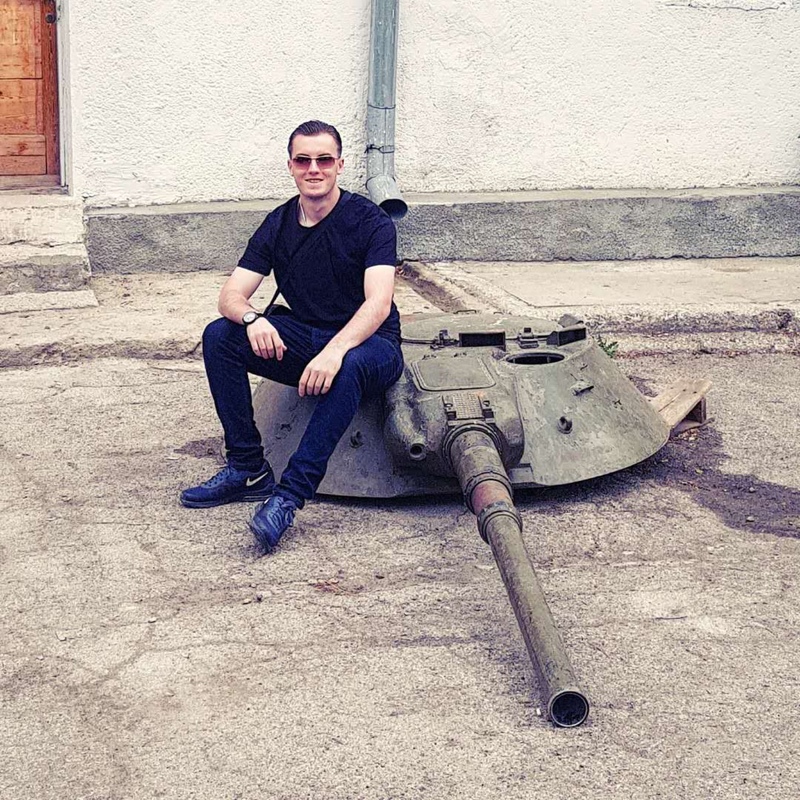 Taking in Soviet time warps, gypsy towns, civil war scarred towns, USSR nuclear bunkers, Russian army defended dams, tanks, WW2 history and more! We end the trip by heading back to Chisinau and jumping on the train back to Bucharest together. Own arrival at any time into Bucharest and check into our hotel. Pre- tour meeting at the hotel at 6pm. Dinner at Care Cu Bare; easily YPT’s favourite restaurant on the planet. Drinks and a pub-crawl in Bucharest’s old town. A day tour of Ceausescu’s Bucharest! No trip to Romania would be worth it’s salt unless we went and looked at everything and anything Ceausescu related, the don of Eastern Bloc extreme. We will do a local walking tour, seeing all the must see sites from “revolutionary” times such as Parliament Palace (the big palace), Revolutionary Square, and the old centre. We’ll even sneak into his final resting place to “pay respects”. We’ll stock up on supplies for the Soviet era night train and head to Chisinau, Moldova. Early morning arrival in Chisinau and transfer to our central hotel. City walking tour of Chisinau taking in the World War II Memorial and Military Museum. Central open-air market, a great place for kitsch souvenirs. Government buildings, parliament, Main Square. We’ll head to one of the cities many parks were we can hire boats out on the lake and take a zip line across the park. We grab breakfast and meet our fixers who will take us into the war torn, breakaway state of Transnistria. We transfer to Tiraspol, passing Russian border guards and KGB controls, then check into our Soviet era hotel. After settling in we will head out and explore on a tour of Tiraspol. Pobedi Park (across the street from the hostel). A chance to ride the rides at the 50’s style amusement park! Walk down October 25th street (the main drag) which has a large billboard of former President Smirnoff (real name) standing with the Presidents of two other Soviet breakaway Republics of South Ossetia and Nagorno-Karabakh. University of Tiraspol. October 25th St. to City Hall (government). It has a large bust of Lenin for great photos. Visit Russian Orthodox Church of Tiraspol. Newly renovated with golden domes. Guests can buy inexpensive Russian Icons here. We will go inside – girls must wear a scarf on their head and men must take their hats off. Statue of Russian General Suvorov. Old market, a perfect place to buy antiques, war relics and Soviet memorabilia at non-tourist, rock bottom prices. Visit the Eternal Flame Independence War Memorial. Visit Parliament, housing the biggest statue of Lenin outside Russia. Lunch at Andies Pizza, somewhat of a PMR icon of a restaurant. Convenient store in the city center with $3 for a bottle of one of the most prized Cognacs in Europe (outside France of course). During Soviet times, this was the brandy. Pobedi Park. There is a famous 24-hour beer and vodka stall here. A great place for people-watching. After lunch, we will cross the river on a Soviet barge to the isolated, war torn villages of Kitskani. Here we will visit the stunning monastery, visit the bullet riddled head of Lenin and the Soviet house of culture, we will visit an old Soviet village store that has been left in time to pick up food and drinks. Head to the WW2 memorial riddled with bullet holes from the recent civil war, dedicated to the Lasi–Kishinev Operation, named after the two major cities, Iași and Chișinău, in the staging area, was a mass Soviet offensive against Nazi forces. Here we will toast to the fallen soldiers. We grab breakfast in a traditional Ukrainian restaurant. We grab a good spot to watch the parade of one of the biggest days in the Russian calender. Victory day. Head to Transnistrias second biggest city, Bender. We stop in the center and see the cheapest outdoor market in Bender, complete with a full old world meat and spices market. It’s a perfect opportunity to buy anything you want at old world prices! We continue to the oldest church in Bender, where there are massive weddings every weekend. Right near the church, we view the City hall, still riddled with bullet holes from the Civil War! It was suppression fire against Transnistrian rebel snipers! We continue to the old Soviet Theater and Lenin Park! We can enter a fully refurbished Theater, now used for modern movies. We then tour the “Ghost Train Station”, after the Civil War almost no trains go there. However, they maintain it immaculately. Also, we view a real WW2 Soviet Train and war memorial and walk on a high walkway overlooking the entire station! Visit the old Soviet Amusement park on the river walk! Still functioning we can ride the rides unchanged as they were in Soviet Times. See the HQ of the Transnistria navy! Yes, it’s as ridiculous as it sounds! Now we move on to a Tank Monument to the Civil War with Moldova and after this we have lunch at the Old Soviet themed Communal Cafe. Visit an ancient Bulgarian village in PMR. Boasting a beautiful WW 2 monument and Soviet Cultural Center with a fantastic Silver Lenin! Afterwards, we head to the old Soviet Red Army bunkers which go on for hundreds of Kilometers, they have never been mapped! 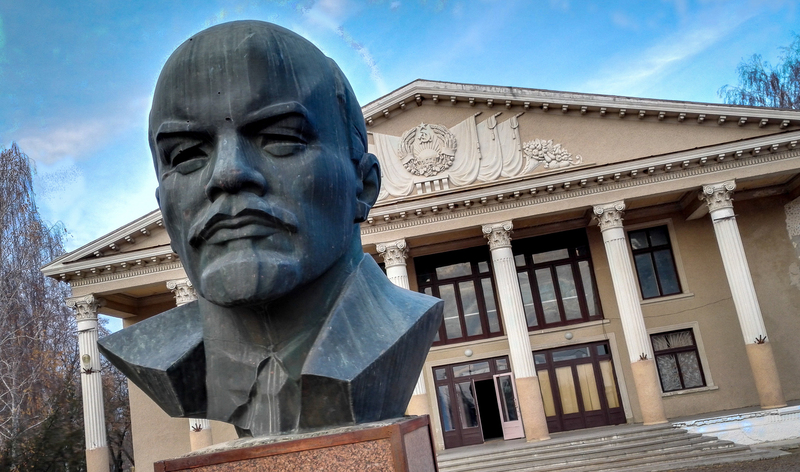 We stop in Grigoriopol to view their Silver Lenin and Monument of Soviet Sorrow, plus we are the only tour group allowed to enter their old Soviet Library and take all the photos we wish. 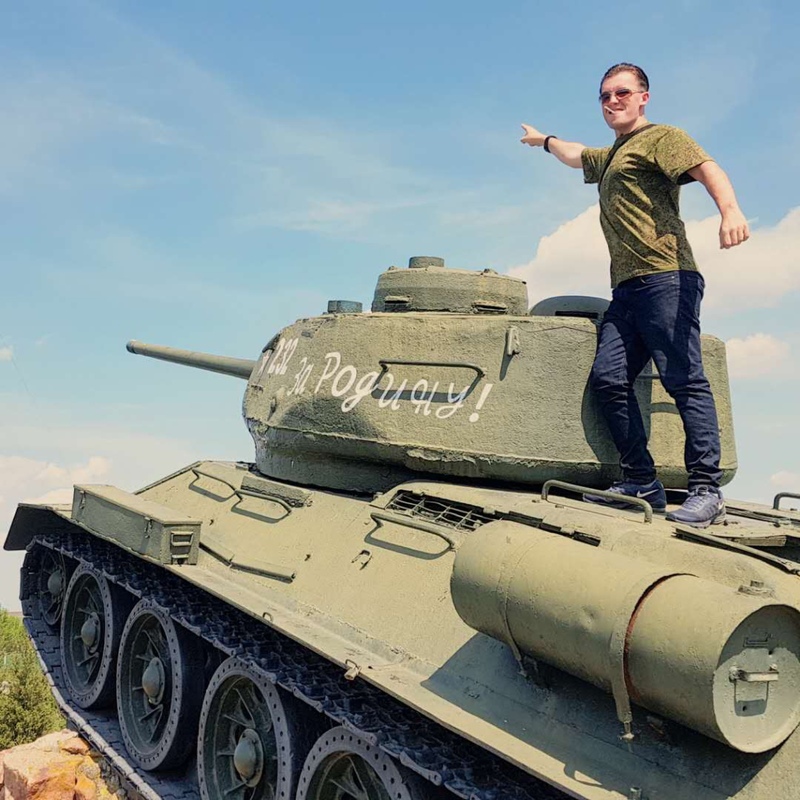 Right after Grigiopol we stop at a massive Tank Monument on a large hill overlooking the battlefields of W.W.2, with an old Soviet T-34 tank that was found in the Dnister River after the war. Visit the central monument to WW2 and the very isolated forgotten Soviet Music College that is still in Operation! It has one of the largest Lenin’s in the world and a perfectly intact giant Soviet Emblem. We are given a full tour by the Director himself and listen to private student concerts just for us! After breakfast, we head to Rîbnița and the very isolated Soviet Nuclear War Survival Bunker! Only 3 were built in the entire world! 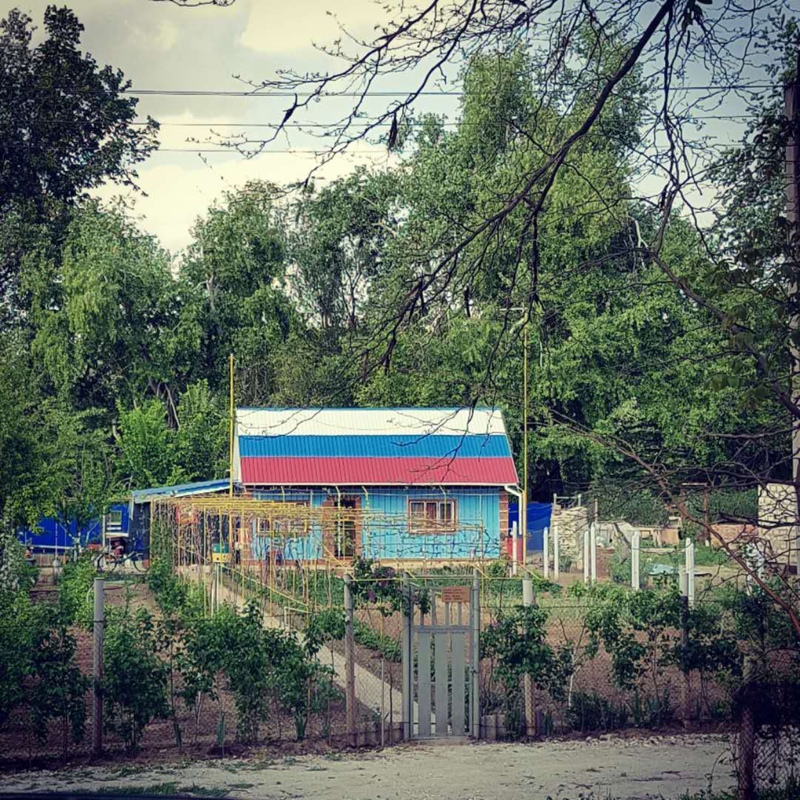 We Stop in the isolated village of Toshlick to view their intact Soviet Cultural center and monument, with a map of the front line as it was in 1943. We stop at a fantastic overlook of the Dnister River, including one of the few small islands, with many local fishermen and locals having BBQ parties. Now we are on our way to Ribnitsa, the third largest city in Transnistria. We stop and see the Memorial of Soviet Fame Ribnitsa, which is overlooking the biggest Russian Orthodox Church in Ribnitsa. We enter the church and view their relics. We have lunch in Ribnitsa centre before heading to the Lenin and Cultural Center, including a fantastic Soviet Mural. Then we walk through the Old Ribnita Soviet Park. We then head to the tour highlight. The isolated old Soviet Nuclear War Survival Bunker (2 of them! Going 13 floors underground). First, we must cross the massive Ribnita Bridge, protected by Russian Soldiers. We must pass through their checkpoints and into the Moldova DMZ. We will pass very isolated villages time forgot, and we are free to stop anywhere along the way for photos. Then we reach our objective and start a drive down a military road build into the deep forest! After some kilometres of difficult driving, we reach a non assuming flat area. This is a deception meant to fool enemies. We then spend a few hours exploring the 2 Bunkers. We must be careful because the structure if very complicated and deteriorating. Return to Tiraspol. Celebrate being among the first to ever explore the bunker at 7 Fridays Restaurant! 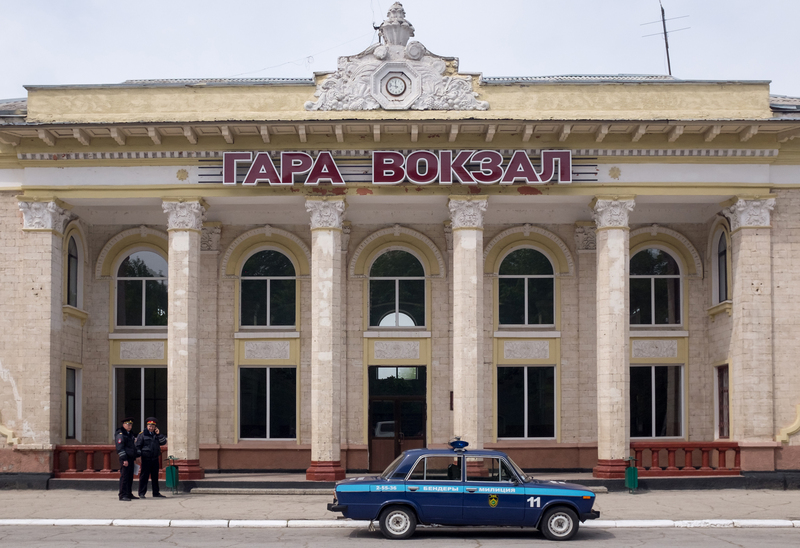 Overnight in Sorroca, the gypsy capital of Transnistria. After breakfast, we do a tour of Sorroca. Tour of Gypsy Hill filled with some of the craziest looking gypsy mansions you will ever see! We’ll see Soroca Fortress, a historic medieval fortress dating from the days of Ștefan cel Mare. The Thanksgiving Candle is a hilltop monument and chapel with an amazing view of all of Soroca. A symbolic walk up the many stairs is an acknowledgement of these lands that suffered under many invaders. They fought bravely and managed to keep their language, their culture and traditions. Return to Chisinau for the afternoon train back to Bucharest. Full day tour of Bucharest centred around everything and anything related to Ceausescu. We will visit all the must-see revolutionary sites and even sneak into his final resting place to "pay respects." 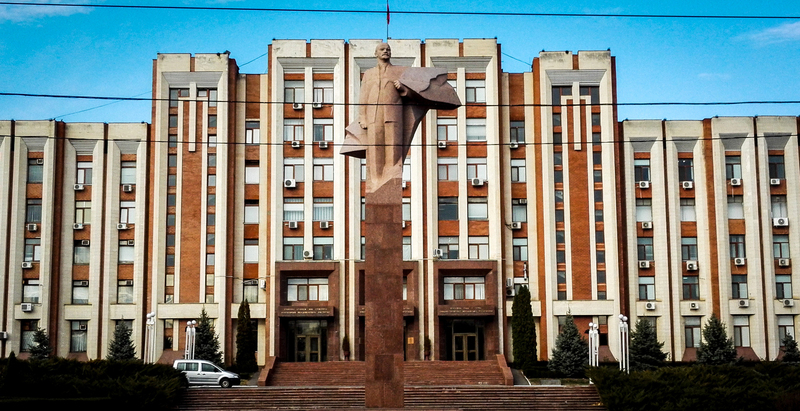 Visit not only Tiraspol but also Transnistria's second and third biggest cities Bender and Ribnista. Watch a soviet style military parade and celebrate Victory Day with the locals joining in on their street parties. We have expert guides ready to help answer any questions you may have.